The Price. We can check that number out a couple of ways. One way is to look at what the seller paid for the unit. If bought in the last couple of years then the number becomes more meaningful. If prices have gone up 10% since they purchased then we can just add that to the purchase price. If the sellers have done a number of upgrades since that time we can add a % of that upgrade in as it generally increases the value. Reviewing Recent Sales. 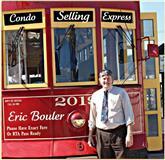 Looking at recent sales can give us a good idea of the value of the condo. This is exactly what the appraiser will do when he comes to appraise your unit. I go back a little further than appraisers to get the best match possible. They are just going back six months. Date To Close. Generally this number is 30-40 days. Many times the lender will only lock your rate in for a 30-40 days period. We can get everything done within this time period. It takes about 10 days for the title company to do their research. It takes the lender about a week after the appraisal is end to get everything ready to go. Best To Start Lending Process Early. Best to start with the lender even before making an offer so you will know all about the numbers. The lender could then give you a pre-approval letter that will help our offer. 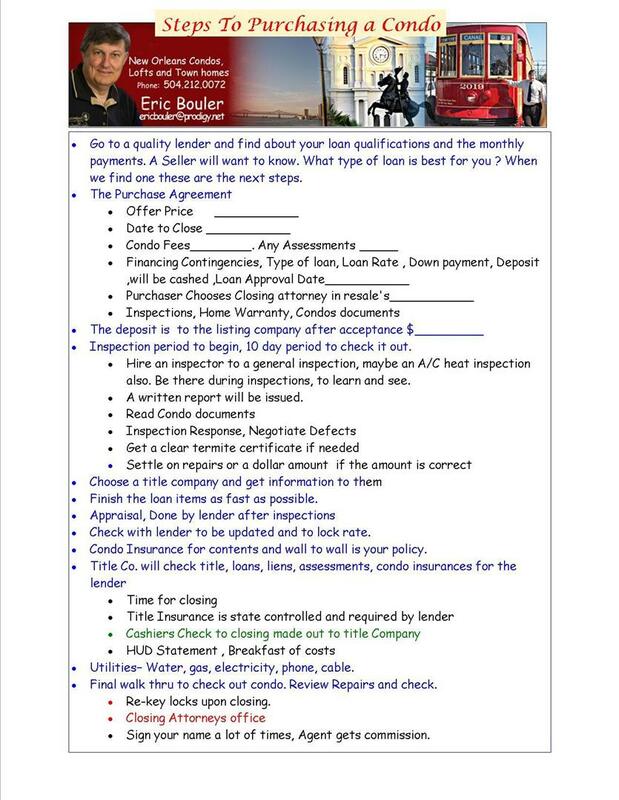 Inspections,Get Started Quickly. You can ask for a 10-12 inspection period but doing it early is the best way to go. It gives us time to reinspect an item that the inspector feels need to be checked further. Often times this is when the heating and cooling system may not be operating properly. This is a big deal and can be costly. Inspection Responses. Many times you can opt for an allowance to have the more cosmetic things fixed. If it is questionable as to the cost then we ask the purchaser to have it fixed and give us a recent. We can go back and check the work when finished and before the sale. During inspections we are most concerned about the inside of the condo. The exterior is taken care of by the condo association. We can ask the seller to ask the condo association to fix a defect that may affect the unit but not be in the unit. This is a rare occurance. A Good Lender will get Condo Association Approved in week one. If you are getting a loan the condo association will have to be approved by the lender. They review the insurance, reserves, condo budget and any legal issues that the condo association may have. 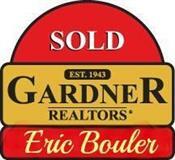 Once you have been approved and the condo association approved then we are well on our way. The Inspections and Appraisal are the final steps.